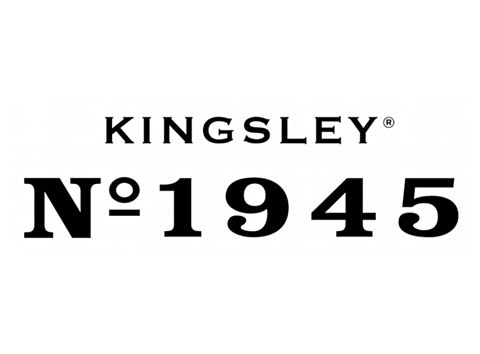 Kingsley No.1945® was founded in 2008 by Ramon Kingsley, the founder and son of a military officer born during the rule of a Latin American Dictator in the 1940’s. At the age of 6, Kingsley developed an obsession with military rulers and fighter pilots and began collecting his father’s military ammunition casings and vintage airplane gauges and reusing them to create makeshift toys. Several years later, he created a workshop out of the cellar of an old WW2-era foundry known as the Browne & Sharpe Co. in Providence RI. There he created his first watch prototypes from reclaimed vintage movements and WW2 aircraft materials bolted to straps cut from worn leather bomber jackets. A Kingsley is a one of a kind whether it is made from a reclaimed piece of vintage aircraft metal or from a new beautifully machined block of steel. A Kingsley watch is built with parts ranging from the local antique shop to highly specialized watch parts, machine shops and leather manufacturers from places in the USA, Switzerland, Japan, Italy, Germany, Spain and even latin american countries.